These folded leaves are a fun Fall craft for kids, but they would also make a gorgeous Thanksgiving centerpiece too. Or a Fall decoration that can stay up all month long. 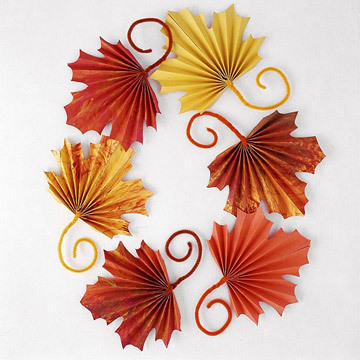 You can get the tutorial for these fan folded leaves over at Better Homes and Gardens. Did these last year, they are beautiful and I was even able to put them out again this year!